For every parent, ensuring that their kid achieves optimum development is very important. Children entirely rely on learning from their surrounding and what they interact with while growing. Some exposure and experiences may limit a child’s creativity and development potential. Fortunately, not a lot has to be invested into children development. In fact, simple forms of play, the right type of toys, and various art activities are sufficient to initiate unimaginable creativity. While play is generally promoted for kids, not all forms of play will result in the same impact. Some forms of play may just consume a child’s energy without helping much towards imagination and creativity. Here are some incredible games, arts, and toys that will help in child development, cognition, and creativity. Performing arts for kids is one of the best avenues to inspire creative expression in growing children. Among the most popular forms of performing arts is dance, theater, and music. In addition to creativity, performing arts also encourages social development among kids. Scope out your performing arts center to learn more about ways to get your kids involved in these wonderful avenues. This is a popular kids toy that allows parents to get down and play with their kids while initiating creativity and opening up children to imagination and freedom of expression. 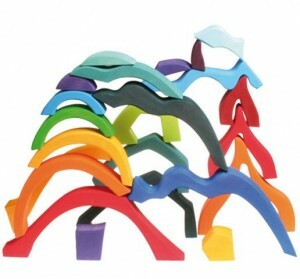 Similar to wood toys for kids, this natural toy simplifies building, mechanization and lighting so that the kid’s mind is aided to experiment with their own structures as desired and with ultimate fluidity. While the toy was naturally designed for girls to be more active in science, technology and math, it is both fun and challenging which is why it crosses over to boys as well. Kaleidagraphs are differently colored die-cut cards that make kids go frenzy. With the color variations and objects, restless kindergarten kids can amuse themselves and create several incredible patterns. Kaleidagraph cards are also designed in the tradition of gift offering. They are eye-catching and intriguing for kids. This is definitely a top notch creativity game for children and not one of those ordinary plays. The interactive nature of this game will surely blow any parent away. It is an innovative-thinking type of game where one fires off ideas on what they can create with a stack of items they find on a randomly chosen card and a directive given in the die roll. The game will expose a kid’s brain to think outside the environment and recapture things he might have subconsciously seen and ignored. This is another impressive toy for kids that can be used to spar motivation, creativity ad imagination. The toy is suited to a perfectionist kid who feels lazy to create things. The perfect cut cubes and pieces make building quite simple and engage a child’s brain to quickly identify how easy tasks are. It is amazing how the simple decision to have creativity cans around the house can boost a child’s development and creative expressions. While the content in these cans is equally aided at improving imagination and cognition, the mere presence of such cans show that creativity is upheld at all times. Kids can quickly develop ad learn to surprise their parents with stunning creative ideas since they are empowered to think freely ad come up with every idea possible. Creativity is expanded through exposure and interaction with more elements. 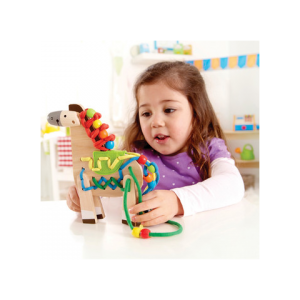 Toys play and arts are the main forms that children interact with their surroundings. The abovementioned toys and games are some of the best options for imagination and creative expression, in addition regular visits to the local library. 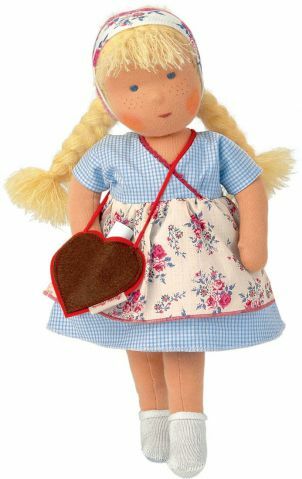 However, it is always important to buy safe toys from genuine distributors to avoid allergies and unhealthy exposure. There are tons options that parents are faced with when it comes to investing in play kitchens for their kids. It can be easy to resort to buying less expensive play sets assuming kids will grow out of them in a few years. However, natural wooden play kitchens are a timeless investment that retain their quality and value for decades. The options that are cheap and available everywhere are the plastic, mass-marketed play kitchens that you find in big-box retailers. 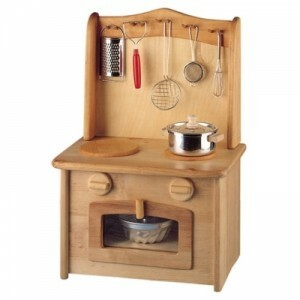 The natural options among kid’s wooden play kitchen sets are not nearly as popular as they were in past generations. 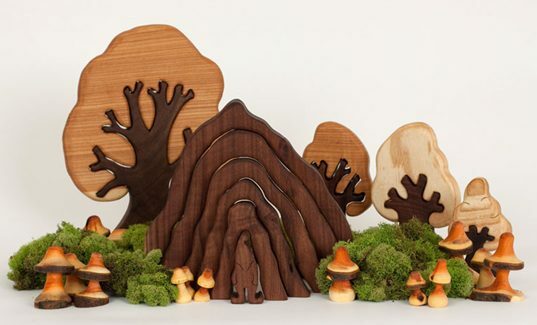 However, these awesome wooden toys for kids have realized an increase in demand as savvy parents are realizing that these options are not only environmentally friendly, but also great for a child’s growth and cognitive development in more ways then one. What follows are three great reasons to choose wooden play kitchens for kids instead of plastic alternatives. 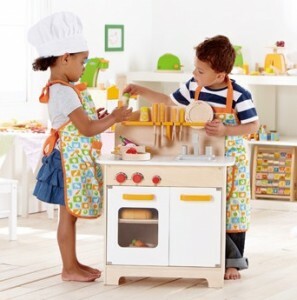 Wooden play kitchen sets for kids are typically 100% natural, made from sustainably-harvested wood, and contain no harmful chemicals. This make wooden play kitchens ideal for conscious parents who want to buy toys that contain no potentially harmful substances. Most conventional play kitchens are manufactured from plastic because it’s inexpensive to produce. Additionally, plastic toys can be molded into whatever shapes and colors, making them preferred by most toy makers. The sad truth behind plastic play kitchen sets is that they can contain toxic chemicals that are potentially harmful to kid’s growth. Perhaps you are aware of the culprits of plastic toys: BPA and PVC? These are two chemicals that are commonly found in plastics. BPA (bisphenol A) has raised the eyebrows of conscious consumers after the FDA reported that BPA is potentially hazardous to both fetuses and growing children. As for PVC (polyvinyl chloride), this chemical has been growing in awareness due to its massive (and negative) environmental impact from production to disposal. 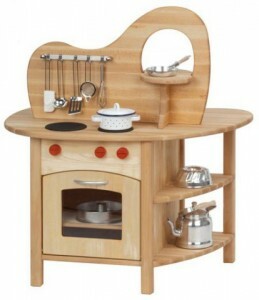 Kids wooden play kitchen sets are 100% natural and contain no harmful chemicals. 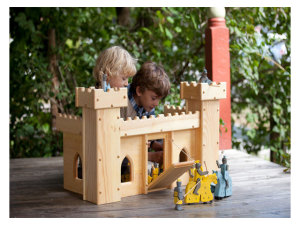 This alone makes natural wooden play kitchen sets for kids a great choice for parents who want to avoid chemical-infused toys for their kids. Often times, simplicity wins when it comes to toys. It’s practical to assume that a young child will not be engaged and entertained without toys that have the flashy lights and sounds that mainstream toys commonly offer. However, the problem with flashy play kitchens is that they don’t allow for natural forms of creativity and imagination to spawn. It’s easy for us adults to overlook just how liberated and free a kid’s imagination truly is. 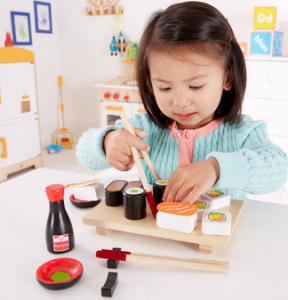 With wooden play kitchen sets, the foundation is set for relentless creative play, enabling their minds to run wild the ideas and possibilities. With creativity and imagination comes a host of other benefits for growing kids. With wooden play kitchens, kids are more prone to share with others. Additionally, they learn a level of responsibility in cooking, doing dishes, and keeping the kitchen space clean and tidy. When crafted from sustainably-harvested sources, wooden play kitchens can one of he most eco-friendly options among natural wooden toys for kids. Some of the best types of wood to look for that are used to make natural wooden play kitchens are pine, bamboom, rubberwoode, and other FSC (Forest Stewardship Council) certified woods. FSC certified wood is labeled as eco-friendly because harvested forestery businesses must pass a stringent certification process that focuses on practices that protect old growth forests, water quality, and precious forest cover. With most wooden play kitchens that are labeled as 100% natural or sustainably-harvested, you can make an eco-friendly investment with your dollars.